(Fort Valley, GA)— Fort Valley State University (FVSU) and the 638th Supply Chain Management Group at Robins Air Force Base today signed a memorandum of understanding (MOU) aimed at formalizing a partnership which will provide team members for the base’s workforce and leverage FVSU’s degree program in supply chain and logistics management to help employees of the base reach their educational and career goals. facilitating workshops, lectures, and tours by base personnel to provide a framework for the professional expectations of work at the base, including dress, communication skills, and resume development. “What we have signed today is a first step in overcoming the distance between ourselves and a local educational institution which is educating the next generation of employees and leaders at Robins Air Force Base,” said Kimberly Herren, director of the 638th Supply Chain Management Group. The effort is part of FVSU’s intensified push to provide real-world learning opportunities for each student which can make their academic coursework more relevant to their future careers as leaders. As part of the agreement, a joint advisory committee was formed. The chair of FVSU’s Department of Business Administration and Economics and the 431st Workforce Development Officer will serve as co-chairs of the committee. FVSU students will be eligible to intern at the base at the G-4 level, and base employees may be called upon to serve as FVSU adjunct professors. Attending the ceremony was Cheryl Moore, who is an FVSU graduate and has been employed at Robins Air Force Base for 34 years. Moore is a GS-14 deputy director at the base. 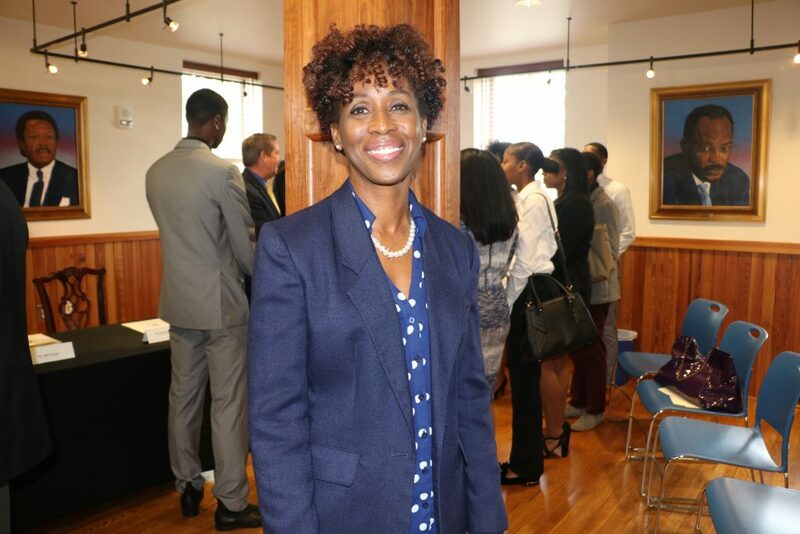 “For me, Fort Valley State University taught me how to be professional, taught me how to be dedicated on my job, and gave me a work ethic that I took with me,” said Moore. 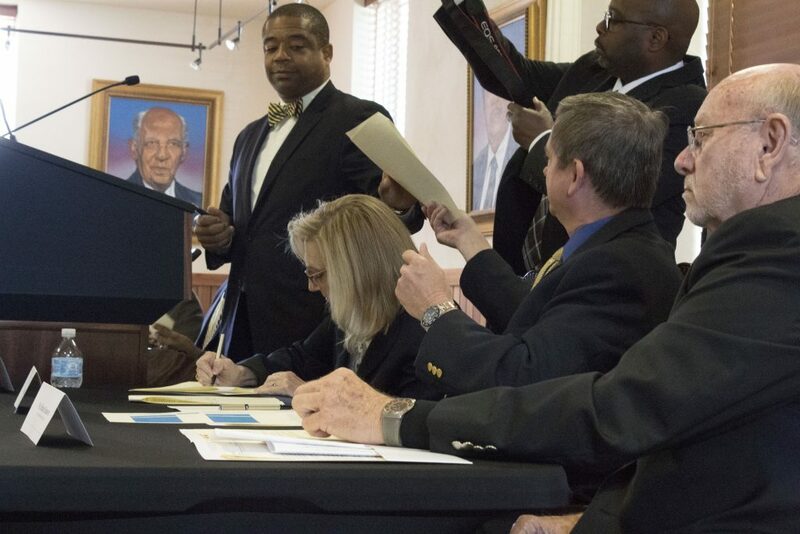 The agreement was signed by Dr. Stuart and Ms. Herren, along with Dr. Samuel Gyapong, chair of the FVSU Business and Economics Department and Bill Sirmon, squadron flight chief for the 431st Supply Chain Management unit. For more information about the Bachelor of Business Administration degree major in supply chain and logistics management, visit www.fvsu.edu/supplychain.